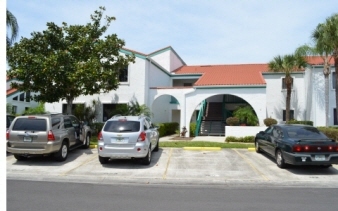 Description: Totally furnished turn key condo in the gated community bluff's of sebring. This community is a 55+ with many amenities such as a community center, pool, exercise room, computer room and library. The unit is a 2 bedroom on the 2nd floor overlooking lake mary jane with an open floor plan and cathedral ceilings. Monthly association fee covers the lawn care, water, garbage pick up, cable, & exterior insurance. Tenant occupied till 12/31 and being sold as is.